We are saying goodbye to 2012 as it is about to become history. This was an important year for our country. I would like to sincerely thank all of you for your efforts, your work and achievements, your trust and support. In these moments, we are particularly aware of the fleeting of time, of how quickly our children are growing up, how much we value our families and friends, and how much we love them. At this time, each of us recollects the events, encounters and words that have been most important. We all hope that New Year's Eve will bring us good luck and a bit of a miracle -- which, they say, the New Year sometimes brings. Pax on both houses: Putin: "I Envy Obama's Spy Program"
Dec 19, 2013 · Russia President Vladimir Putin says his government is not working with ... 2013 Is The Year That Proved Your ... Putin: "I Envy Obama's Spy Program"
Jan 1, 2013 Russia_President Putin gives. 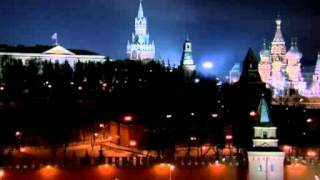 Jan 1, 2013 Russia_President Putin gives New Year speech. 2:14:49.